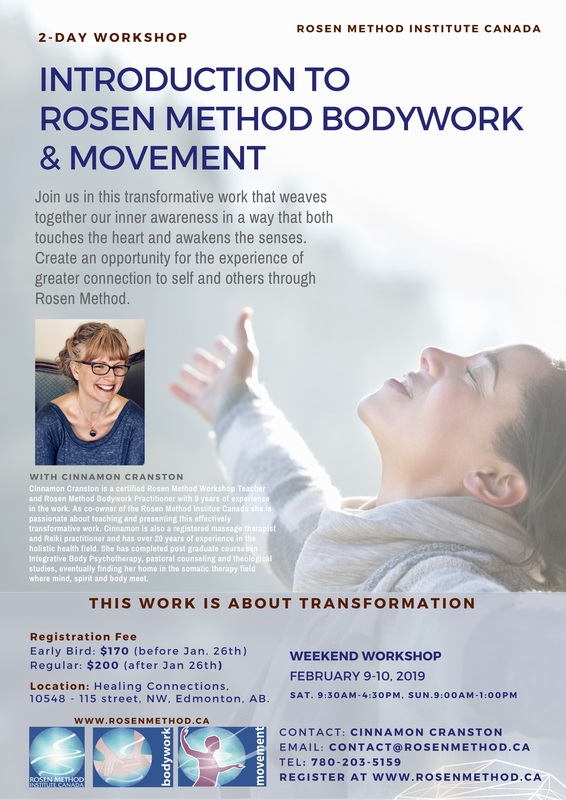 Cultivate Self-Awareness and Presence through Rosen Method Bodywork and Movement through this 2 Day Workshop February 9-10, 2019 in Edmonton Alberta. 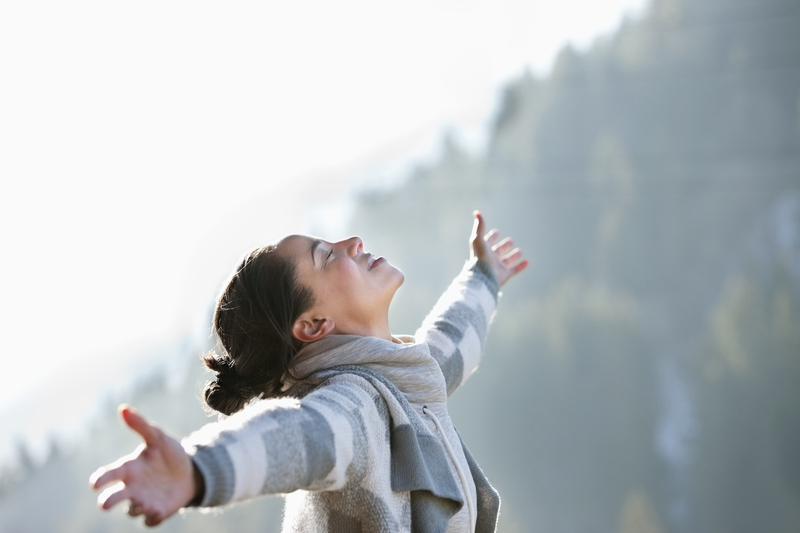 Join us in this unique work that weaves together our inner awareness in a way that both touches the heart and awakens our senses creating an opportunity for the experience of greater connection to self and others. Cinnamon Cranston is a certified Rosen Method Workshop Teacher and Rosen Method Bodywork Practitioner with 9 years of experience in the work. As co-owner of the Rosen Method Institue Canada she is passionate about teaching and presenting this effectively transformative work. Cinnamon is also a registered massage therapist and Reiki practitioner and has over 20 years of experience in the holistic health field. 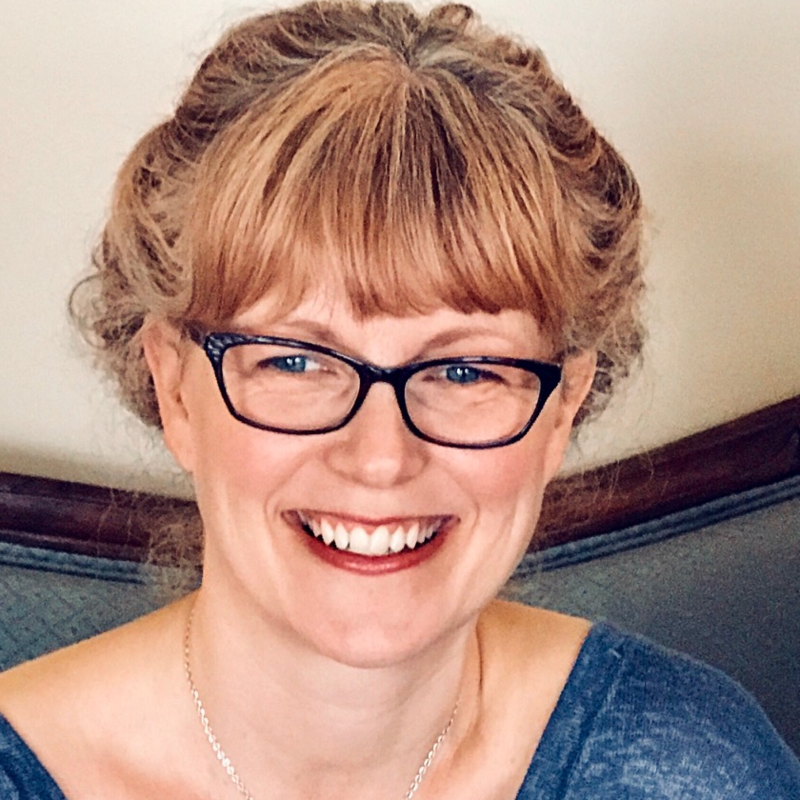 She has completed post graduate courses in Integrative Body Psychotherapy, pastoral counseling and theological studies, eventually finding her home in the somatic therapy field where mind, spirit and body meet.